Fooditka: Warm up Astoria - Hot Toddies, Mulled Wine, Hot Apple Pie Martinis, Oh My! Warm up Astoria - Hot Toddies, Mulled Wine, Hot Apple Pie Martinis, Oh My! Brrrr..it's freeezing out there! I hope everyone is staying as warm as possible and doing their bestest to bundle up. A few days ago, I threw out some suggestions of warming up with hot cocoa, but now since the windchill has hit a new low, I thought it'd be good to turn to something stronger. Here's a quick run down of warm boozie drinks you can enjoy and at the same time, warm up with. 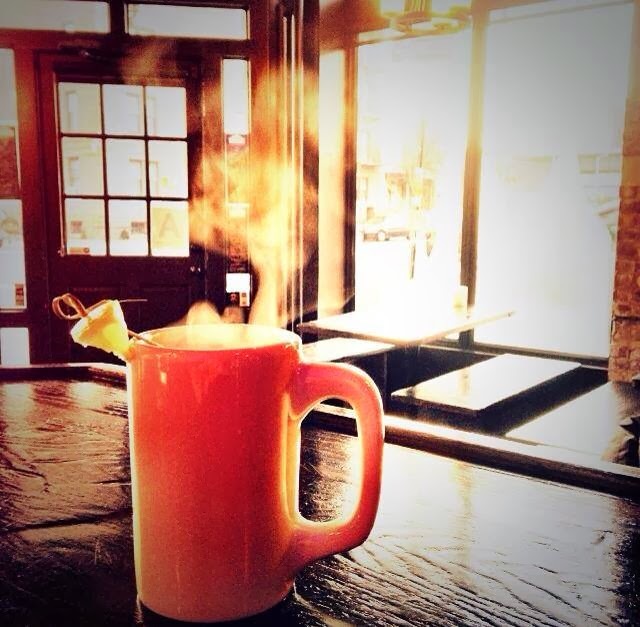 Drink up and stay warm, Astoria.